The perfect mix of 70% coco coir and 30% perlite for optimum aeration, pre-blended with Ecothrive Charge for an unbeatable biological boost. With Ecothrive Coco Lite you can enjoy all the benefits of Ecothrive Charge straight out of the bag. The perfect mix of 70% coco coir and 30% perlite for optimum aeration, pre-blended with Ecothrive Charge for an unbeatable biological boost. Most coco coir mixes contain no nutrients with very low levels of beneficial biological activity. 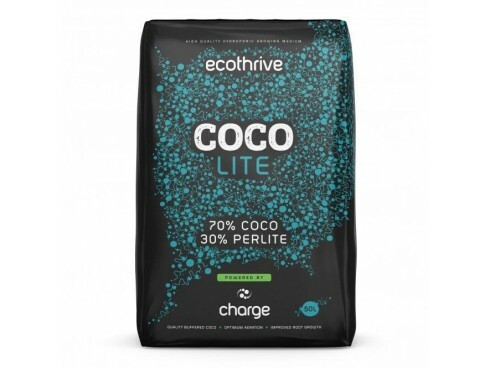 Now with Charge conveniently pre-blended into your coco mix your plants enjoy a balanced, organic source of primary nutrients along with a boost of beneficial bacteria, chitin and naturally occurring Trichoderma. Ecothrive Lite Mix uses RHP certified, fully buffered coco that has been pre-blended with Ecothrive Charge at 1% by volume. This mixing ratio makes it ideal for almost all applications. However if you are potting up plants into their final pots you can add more Charge into the mix at the rate of 10ml per L to provide a nutritional kick and ultimately, a bigger boost. 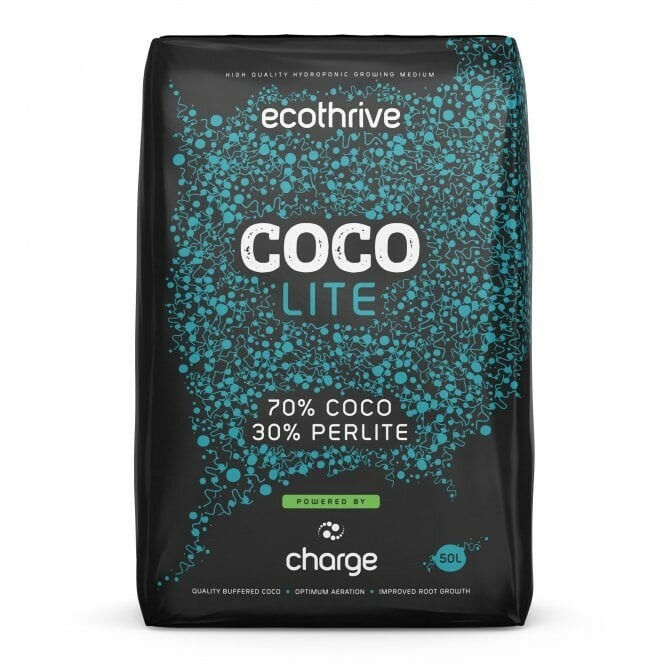 Use Ecothrive Lite Mix and enjoy stronger, healthier, more vigorous plants that are harder to overwater when compared to growing with ‘uncharged’ standard coco.